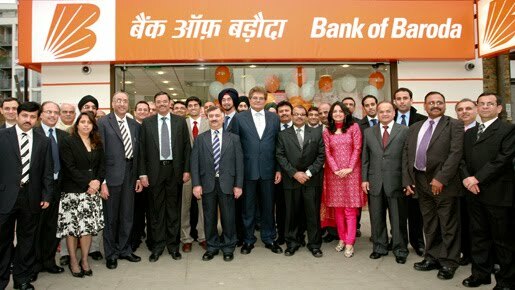 BOB Financial Solutions Limited (BFSL formerly BOBCARDS Limited) has broadcasted an advertisement of BOB Financial Recruitment for filling up 590 Sales Executive Bharti. Job fighters who think themselves suitable for given posts they may apply by filling BOB application form as soon as possible. The organization is going to hire talented contenders to fill vacant five hundred ninety jobs openings of Sales Executives, Team Leader & Other. End date to submit an application form is 25 May 2018. Official Site of BOB Financial Solutions Limited is www.bobfinancial.com. The team of www.sarkarinaukricareer.in is providing complete details about BOB Financial Jobs. Area Sales Manager Graduate · Minimum 8 years of experience as a Sales Manager with leading Public / Private / Foreign Companies / Broking / NBFCs / FMCG companies. Team Leader Graduate · Minimum 5 years of experience in Sales of Retail Financial products out of which minimum 2 years experience as a Team Lead. Sales Executives Graduates 21-35 yrs. Sales Executives – Under - Graduates 21-30 yrs. Sales Executives – Freshers 21-25 yrs. Manager / Asst. Manager - Processing 30-40 yrs. Remuneration will be on CTC basis. CTC will be fixed; on the other hand selected applicants will be eligible for Performance Linked Variable Pay. Selection will be on the basis of written aptitude test/ Interview/ Group Discussion. Job fighters may apply online through official website that is www.bobfinancial.com till 25 May 2018. From home page you need to follow "Current Openings"
Fill the all details in the application form very carefully without any mistake and must upload Photo, Signature.